www.mintwise.com is owned by PlatinumOne Insurance Broking Private Limited. PlatinumOne Insurance Broking Private Limited is an IRDAI Certified Direct Insurance Broker. IRDAI is the Insurance Regulatory and Development Authority of India. PlatinumOne's Direct Broker License No. is 443. 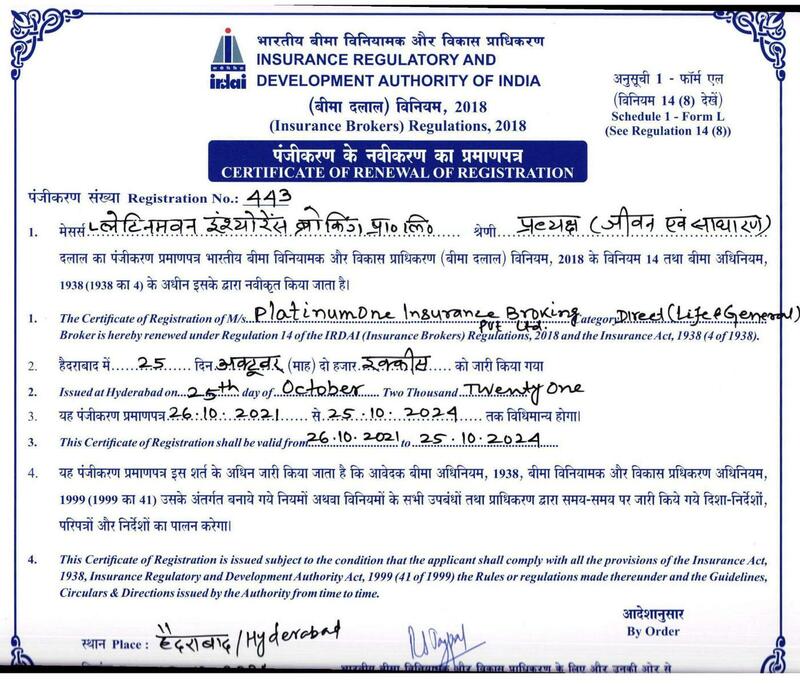 Its License is valid till 25th October, 2021.
www.mintwise.com is a website that provides Instant Insurance Quotes, has an Insurance Knowledge Centre to provide accurate information to customers seeking clarity on insurance matters and enables Online Purchase of Insurance Policies. And hear what they have to say. A choice of best insurance brands with superb post-sales assistance and unbeatable claims support. www.mintwise.com is owned by PlatinumOne Insurance Broking Private Limited. PlatinumOne Insurance Broking Private Limited is an IRDAI Certified Direct Insurance Broker. IRDAI is the Insurance Regulatory and Development Authority of India. PlatinumOne's Direct Broker License No. is 443. Its License is valid till 25th October, 2021.